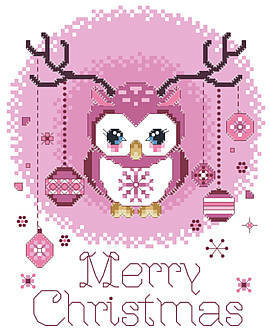 Make the season merry and bright with the help of this little Christmas Owl with antlers! This cutie would look great in any children's bedroom or playroom. We've got an owl for everyone on your list so check out the rest of the collection!